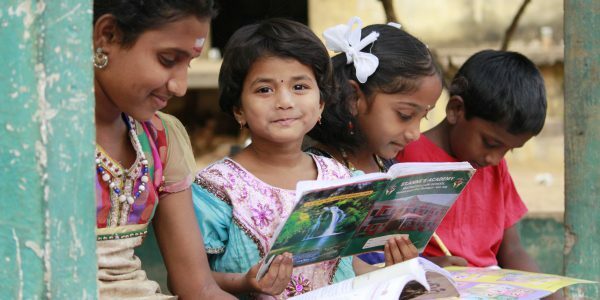 JRS has implemented a new monitoring and evaluation technique which focuses on the outcomes and impact of our services through stories of change. 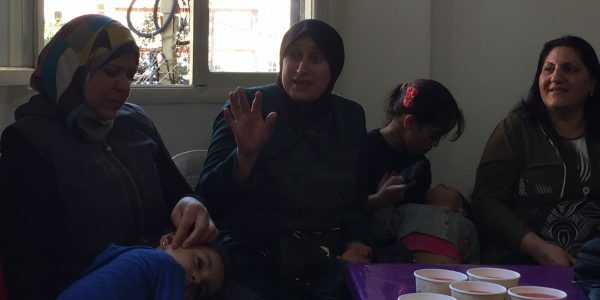 At a recent workshop in Lebanon, Noor, a Syrian refugee, reflected on the impact JRS’s services had on her life. 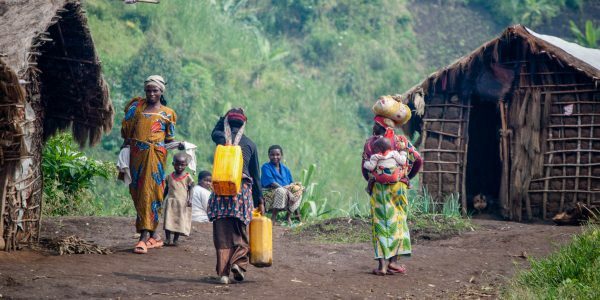 Last year the United Nations marked the 20th anniversary of the Guiding Principles on Internal Displacement by launching a three-year Plan of Action for advancing prevention, protection, and solutions for Internally Displaced People. Today, JRS joins in urging governments to protect and support all in their countries who are dispossessed and dislocated. 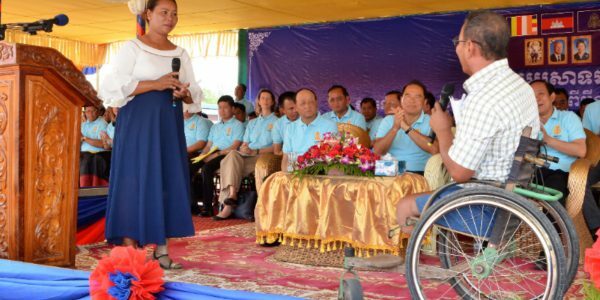 A rally was organized in Kamrieng, Cambodia, to mark the 20th anniversary of the Mine Ban Treaty. Phanna, a survivor of a landmine explosion, came to share her story with the audience. Gugu Angela Mngadi offers her testimony on the challenges faced by asylum seekers and refugees when accessing healthcare facilities in South Africa. She speaks of her experiences while volunteering as a paralegal for JRS. 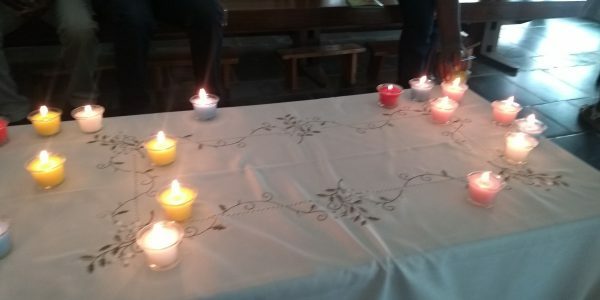 The JRS reconciliation and social cohesion team held a workshop between community leaders and staff to promote the sustainable integration of returnees in Burundi. In Kenya girls come together to reflect on the unique challenges faced in accessing their right to education. 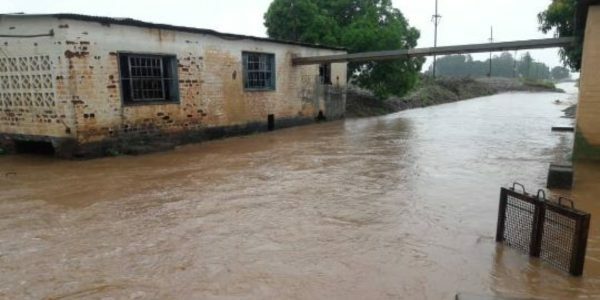 Cyclone Idai ripped through parts of southern Africa in March, causing massive displacement and even death across the region. JRS works with refugees in the Tongogara camp of Zimbabwe, where hundreds have been affected by the storm. 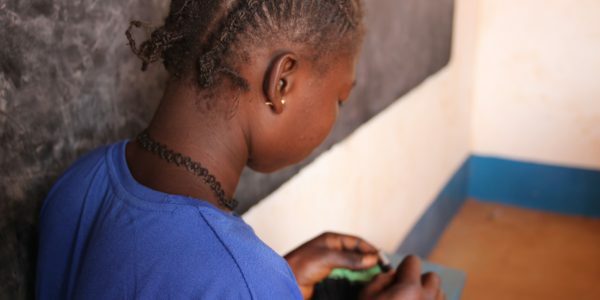 Grace is one of 22 young women who is learning to sew at the Jesuit Refugee Service (JRS) Bambari training centre, where income-generating activities are offered along with regular psychosocial support. Grace is using this training to turn her life around. Kosala used her difficult upbringing as a refugee in India to inspire her to achieve her academic dreams. She tells the story of how education changed her life.